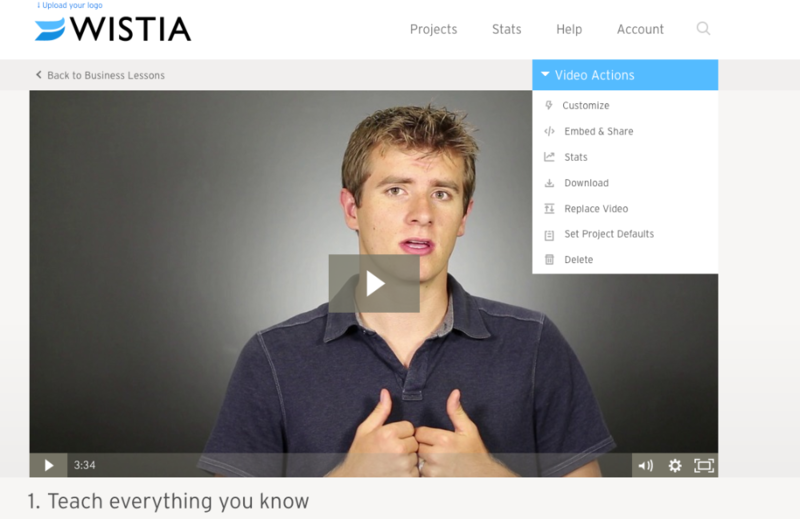 Step-by-step guide on how to connect Wistia to ConvertKit. 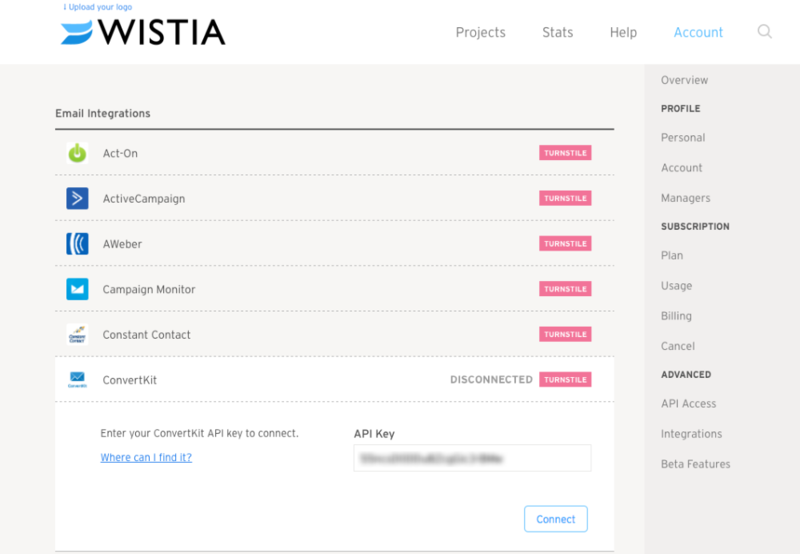 First you'll want to connect your Wistia account to your ConvertKit account. 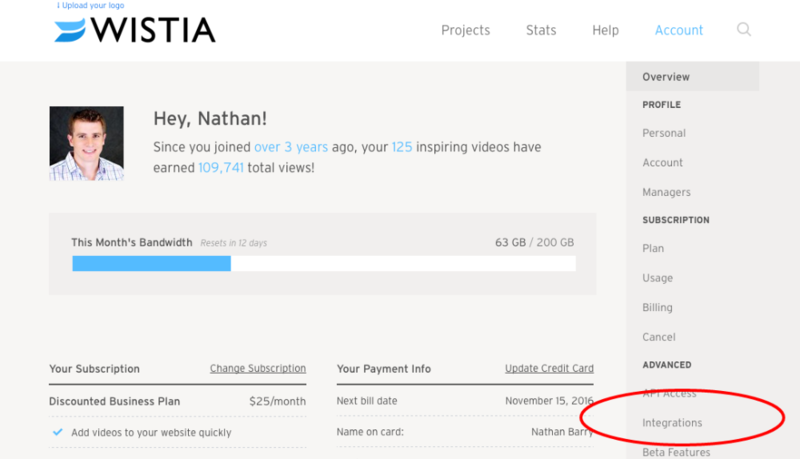 Once you're logged into Wistia, click on Account in the top menu and choose Settings. Once there, you'll see a menu with Advanced settings. Click on Integrations. Click on ConvertKit and enter your ConvertKit API key. You can find your ConvertKit API key in the Account Settings of your ConvertKit account. Click "Connect" and, when it's done right, you'll see a Success message and the green checkmarks stating "Primary" and "Connected"
Then head to Projects to choose the video you want to add an email Turnstile to. Select that video, click on the Video Actions dropdown, and choose Customize. In the menu bar on the left, select Timeline Actions and then Add Turnstile. Choose your settings for your Turnstile. The default is to have it appear immediately but you can change the time it shows up, if you collect names, if your viewers can skip it, and even customize the text. Then choose the Form you want them subscribed to. Be sure to click Save at the top before moving on! Then test your Turnstile by heading to the public link for your video and opting in. Note: it could take several minutes for the two programs to talk to one another, and to have your email address appear inside the Form and on your Subscribers list in your ConvertKit account. Depending on how your Form is set up, you may need to confirm your subscription inside your email inbox before seeing your name on your list of Subscribers. From here it's all about staying in touch with your new Subscribers. Enjoy the connection to your video viewers and your newfound freedom to use video to grow your email list.